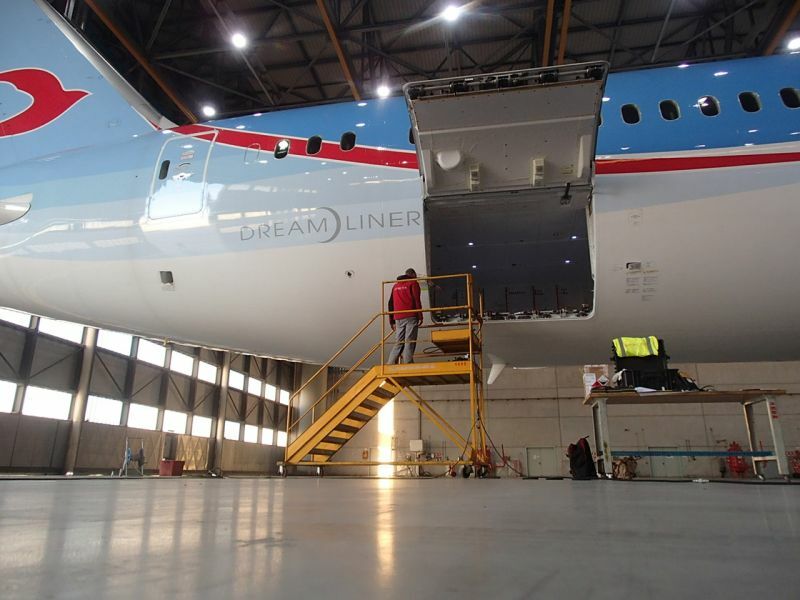 NEOS recently reported damages on its Boeing 787-Dreamliner aft large cargo door edge protector and on the skin adjacent to the cargo door. SPECTO Field Repair Team was contacted to fix these damages on-site in Verona. After removal of the high-speed tape and existing paint around the damage area per SRM B787, one of SPECTO’s Certified Process Engineers visually inspected the edge protector for damage, followed by the surface finish. One of the two repairs included a resin sweep-fair procedure. Livery color as per AMM was restored on-site. Characterized by a consistent mission to offer the market a high quality air transport activity both in flight and on land, NEOS (fully owned by Alpitour Spa) was born in June 2001 and once it obtained the Air Carrier Certificate on the 7th March 2002 from the National Civil Aviation Body (ENAC), its first Boeing 737-800W (Winglet) started operations from Milan Malpensa. Long haul flights started in December 2004 and are currently performed by three Boeings 767-300ERW (Extended Range Winglets) and by three Boeing 787-9. NEOS carries out technical maintenance on its aircrafts and other carriers’, with its own personnel, at the Milan Malpensa and Verona airport.